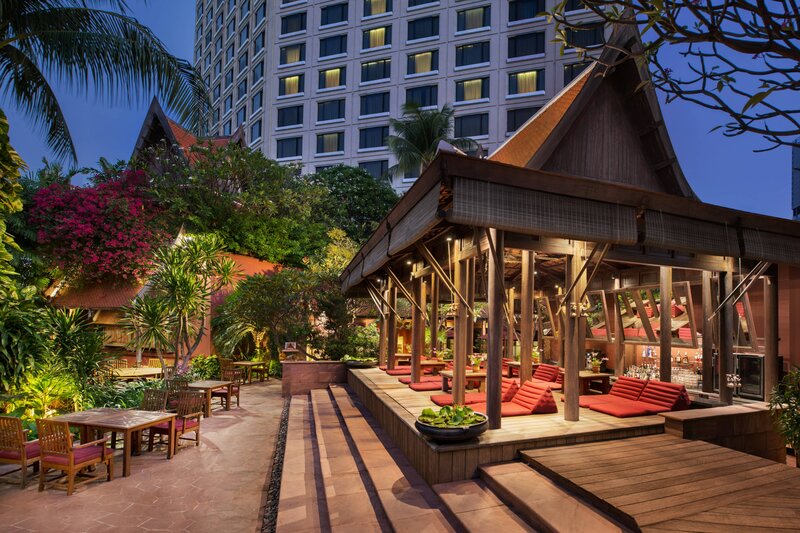 Sheraton Grande Sukhumvit is located in the heart of downtown Bangkok. With direct skybridge and immediate access to Asok BTS SkyTrain and Terminal 21 shopping mall and only a few steps to MRT Sukhumvit Subway station. Emporium, MBK and more are moments away. During the day, relax at the hotel’s free-form swimming pool set in a lush tropical garden or unwind with a massage or facial in the tranquility of The Grande Spa. 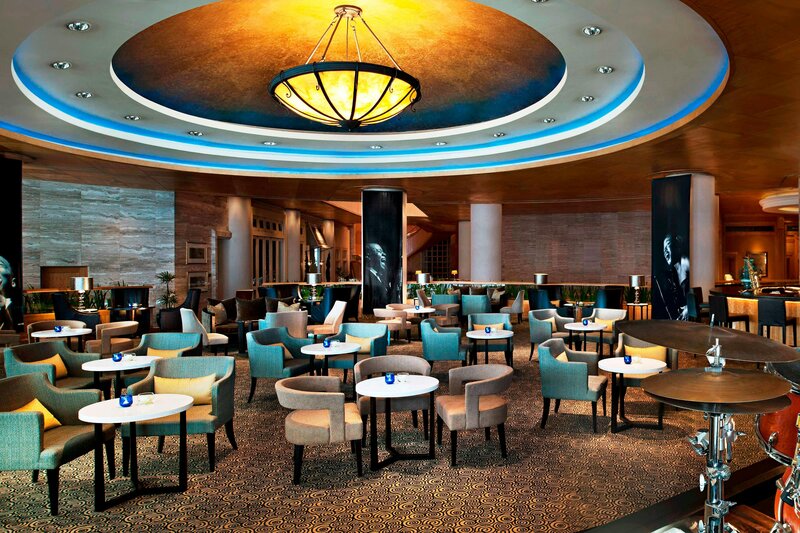 In the evening, visit The Living Room where international jazz artists perform every night. Sheraton Grande Sukhumvit offers 420 spacious guest rooms that pay homage to the exquisite local culture and aesthetics. Decorated with exotic teakwood, gleaming marble, and shimmering Thai silks, and enhanced with the latest technology and connectivity guests are assured of a memorable stay. Discover the secrets of authentic Thai cuisine and join our complimentary cooking class supervised by renowned Thai chefs of our restaurant, basil. 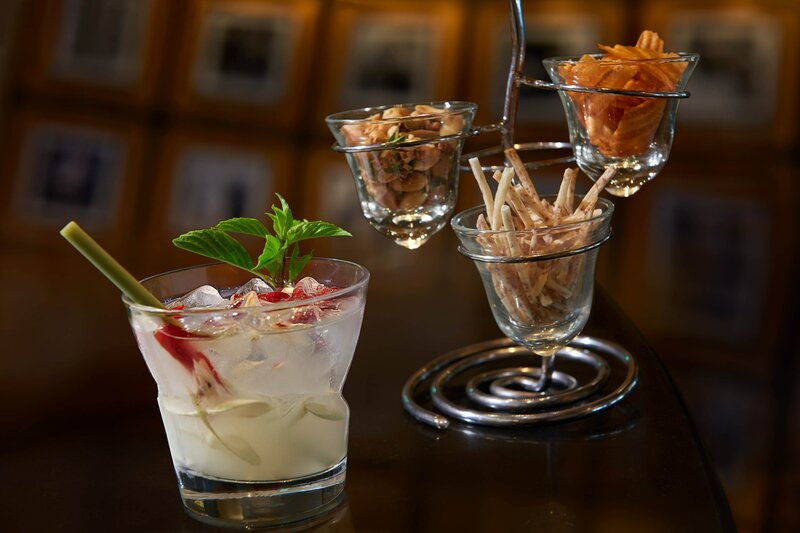 Be inspired by the Thai culinary culture with its indigenous ingredients and home made spices. A special exploration curated by our Luxury Collection Concierge. 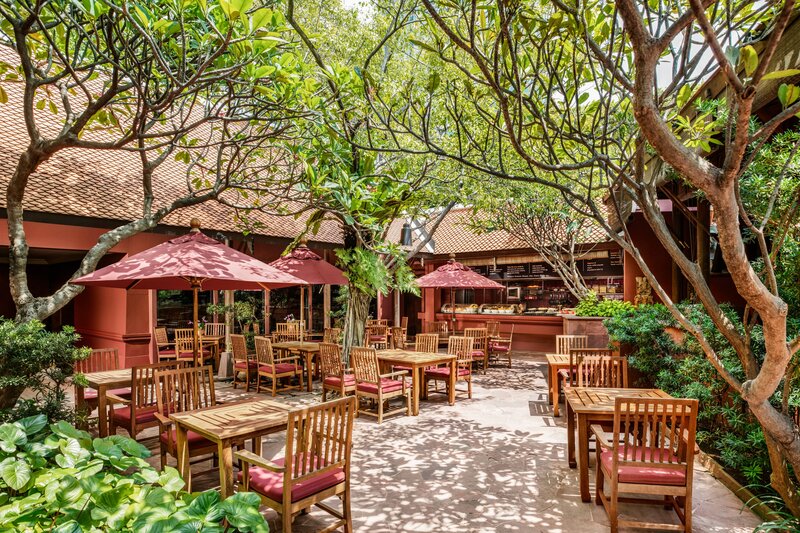 The enchanting poolside setting and gardens provide an idyllic spot to enjoy a wide variety of delicious international cuisines and barbecue at The Sala. Our designed Thai-Themed Suites, Rama, Rajah and Rachada offer a truly memorable experience. Featuring a private lush garden and relaxation area. 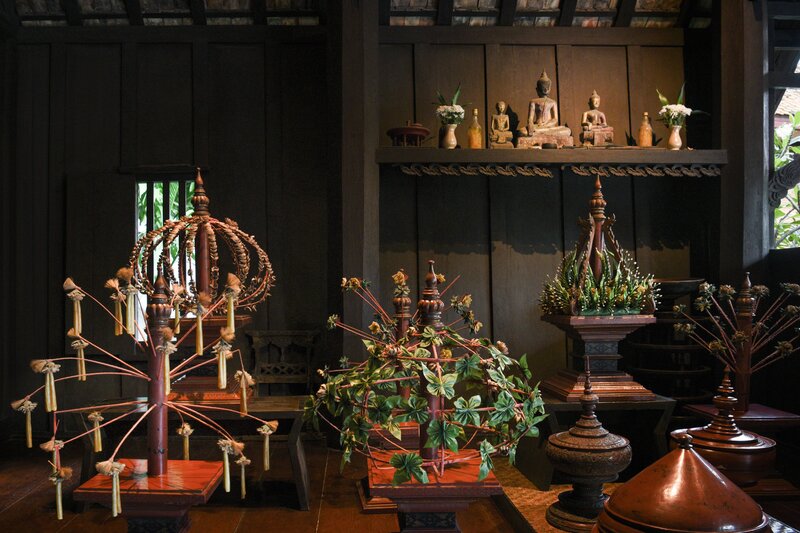 Our Rama Suite is named after the Thai kings of the current Chakri dynasty. In Thailand, kings are referred to as Rama, adopted from the name of the Hindu god. Rajah is an Indian term from Sanskrit meaning king or princely ruler. The name of our opulent Rachada Suite is derived from the Indian word rajah, meaning king. The word rachada is also an old Thai word for wealth or money. 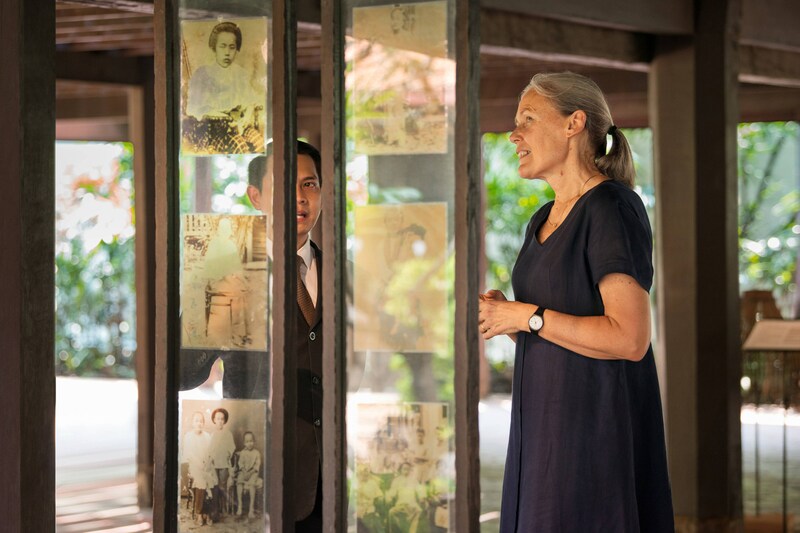 A local excursion trip to nearby Kamthieng House, run by the Siam Society under royal patronage, provides insight into Thai culture and lifestyle. 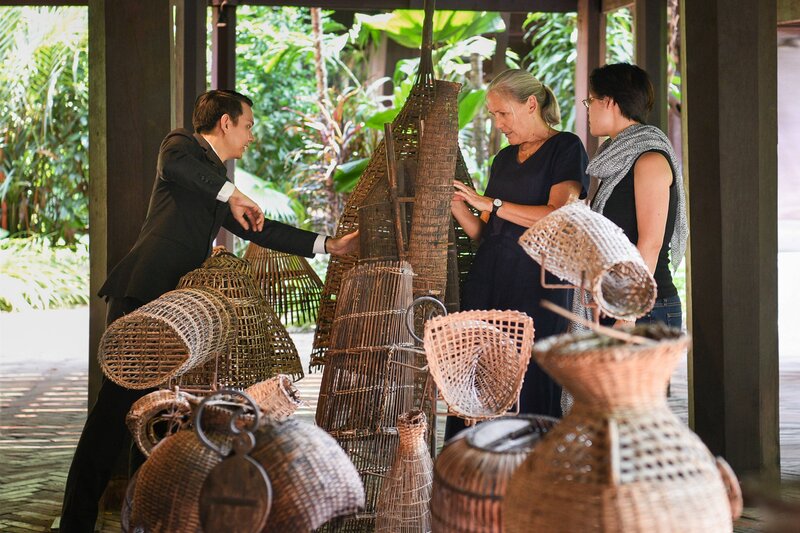 Guided by our knowledgeable Concierge, guests will explore these fascinating and original traditional teak houses and the museum which date from 1848. The Living Room regularly features outstanding performances from the most respected musicians on the jazz scene today. The Living Room is home to the finest live jazz venue in Bangkok. A showcase for high-calibre international performers playing the hottest jazz in town.